With the glorious chaos of the Master’s down the road in Augusta, golf seems to be the only thing on our minds these days. But as all the locals know, the Tournament isn’t the only bragging right we have around here! With the charm of downtown Aiken, our equine communities, and talented artists, we can’t help but celebrate the local flair. 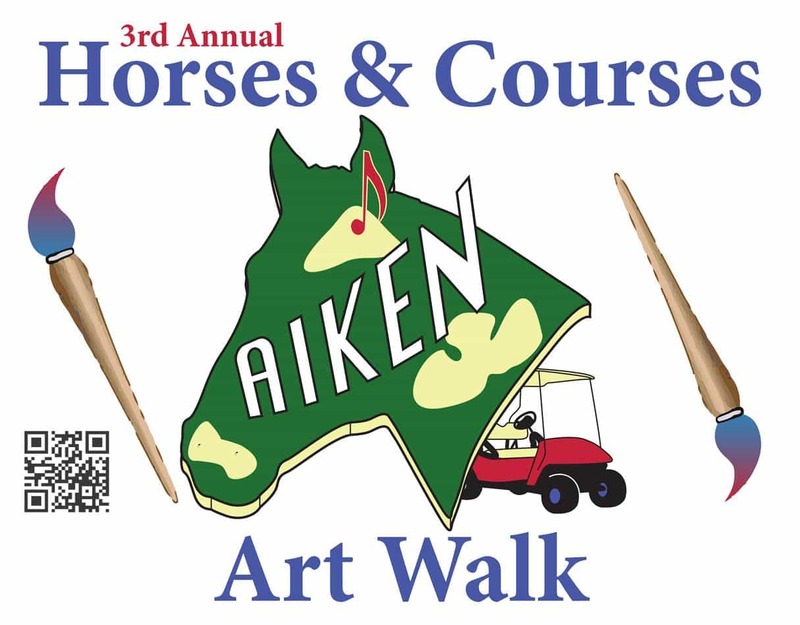 Join us on Tuesday, April 8th, from 5-9pm for the Horses & Courses Art Walk in downtown Aiken. Featuring the work of local artist Doug Larson, Nandina will be open late with refreshments. Originally from Minnesota, artist Doug Larson now resides in Augusta with his wife, Gail. We frequently call upon Doug for custom paintings in Nandina design projects, and love having his art in the store. Doug will display a variety of paintings ranging from dramatic abstracts to striking landscapes. We don’t want to spoil the surprise of what will be here on Tuesday, so enjoy a few of his other gorgeous paintings below. Which style is your favorite? Stop by to see much more on Tuesday evening, and enjoy 25% any one in-stock item (excluding original artwork). Nandina won’t be the only store open, of course. All down Laurens Street and the Alley, see the work of over 40 artists and enjoy a variety of live music. Whether you’re a fan of bluegrass, jazz, classic rock, folk or soul, there’s sure to be a local musician you’ll love. See you Tuesday!